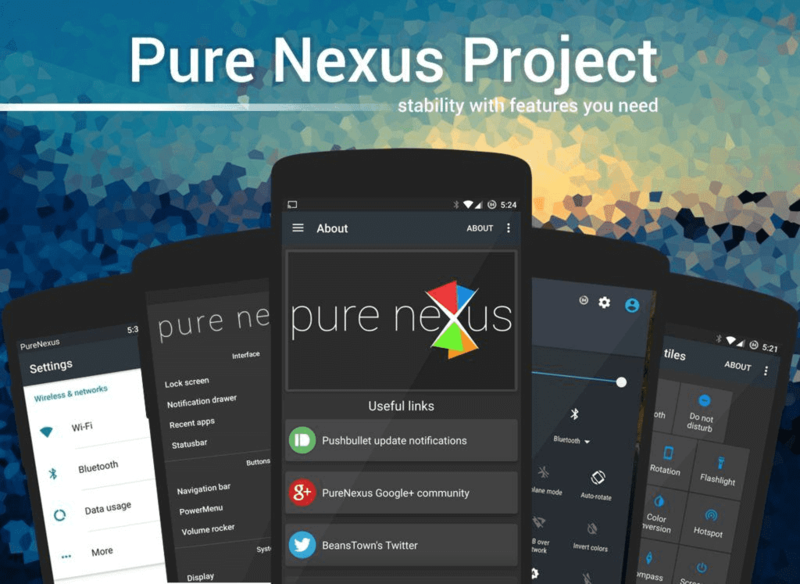 This post is about Best Custom ROMs for Google Nexus 6P (Angler). Google Nexus 6P received a lot of love from Developers and there are many Custom ROMs for Nexus 6P available right now. I have Selected 9 Custom ROMs which are stable, feature-rich and secure. Before Flashing any Custom ROM, make sure that your Nexus 6P is on appropriate Vendor Image as specified by ROM developer. I always prefer to perform a Clean install and use GApps which is specified in ROM’s xda thread. You need to flash the Latest Custom recovery to flash a ROM. Check out this guide for more. It is a Stable and is perfect to use as a Daily Driver. Made by hand picking features from different ROMs, this ROM gives a wide range of customization option compared to any other ROM. The UI is almost like Stock Android and you can modify it by using inbuilt features. DARK ROM is a version of LineageOS 15.1 with stripped down features which give a fast performance. LineageOS is a feature-rich Custom ROM and in Dark ROM, all extra features are removed so the ROM only gives you few important features. The ROM is very Close to the Pixel Smartphones in features and UX. It supports SafetyNet and ViperAndroid out of the box. You should be on the Latest radio, latest bootloader, and Latest vendor image. Check out the Official XDA thread for Download. You need to remove Forced encryption and you require Oreo 8.1 firmware (Vendor Image). AICP is a Custom ROM based on LineageOS with some extra features. Download the Bootloader, Radio and Vendor image from here and Flash them via Fastboot in Bootloader. This ROM gives Stock Android UX with some useful features to modify Status bar, Quick Settings, System, and Notifications. Download the ROM and Flash it after Wiping System, Cache, and Dalvick Cache. I am a Blogger, Android Geek, and an MMA Fanatic. I have been writing about Android OS for Last 2 years. If you want to connect with me then Follow me on Twitter.